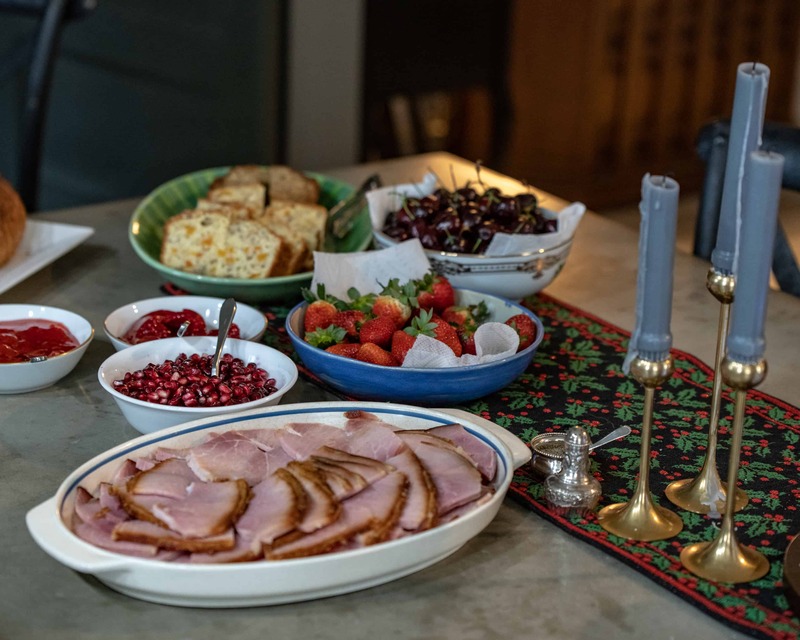 Looking for a great chutney recipe that pairs perfectly with ham, turkey, burgers and brie? This Cranberry Apricot Chutney is over the top delicious- it’s a little sweet and a little savory and VERY addictive! 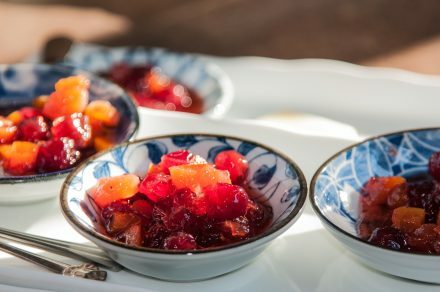 This cranberry apricot chutney is so easy to make, lasts for weeks in the frig and is so delicious. Combine all ingredients in a non reactive saucepan. Heat slowly to simmer, stirring occasionally. Simmer for 1 hour or until cranberries have burst and apricots soft. Cool and store in refrigerator. Also wanted to share a great marinade recipe from my catering days in the Berkshires. This simple marinade can transform an inexpensive piece of meat into something so tender that all of your family will think you spent a fortune on their meal. I usually use it with London Broils but it can be used with all meats. Mix all ingredients together. Allow ½ cup marinade per pound of beef. We place our meet in a zip lock bag and marinate in the frig overnight. Thinking I’ll serve London Broil with chutney this Easter- YUM! Come stay with us and enjoy the absolute best place to stay on Cape Cod- the Captain Freeman Inn.